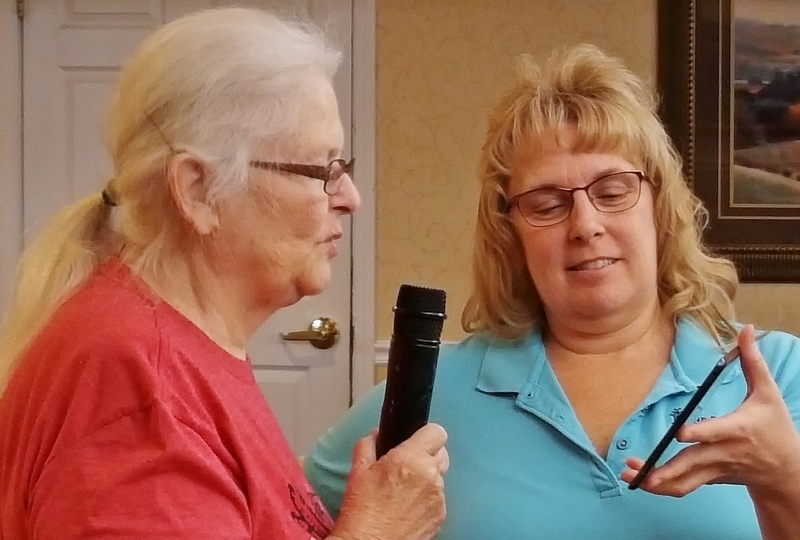 This semester as part of our Watermark University program, we introduced an expressive art class in the form of Karaoke, which is a popularized Japanese style of interactive musical singing. 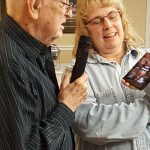 Karaoke is literally translated as “empty orchestra” where an amateur singer sings along with a popularized instrumental form of a hit song. 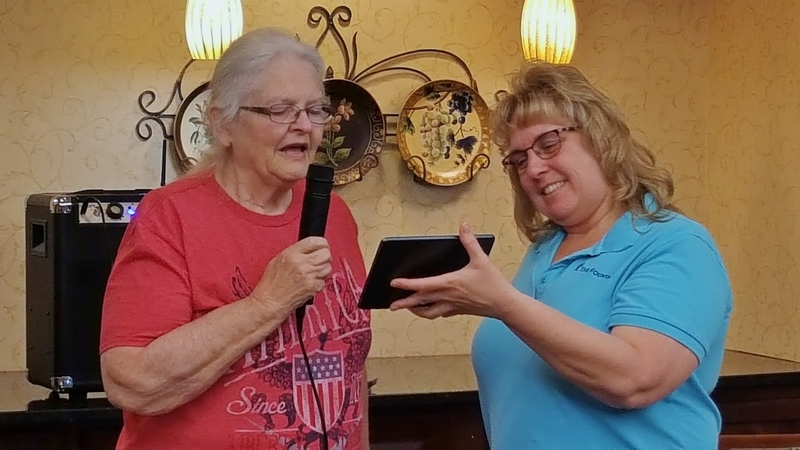 Our community driver Rhonda Holler, who is affectionately known as “Rockin’ Rhonda,” instructed the residents on a little of the history of this art form and also how to navigate the Karaoke system. 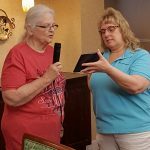 This integration of technology and information was a great learning opportunity for the residents. 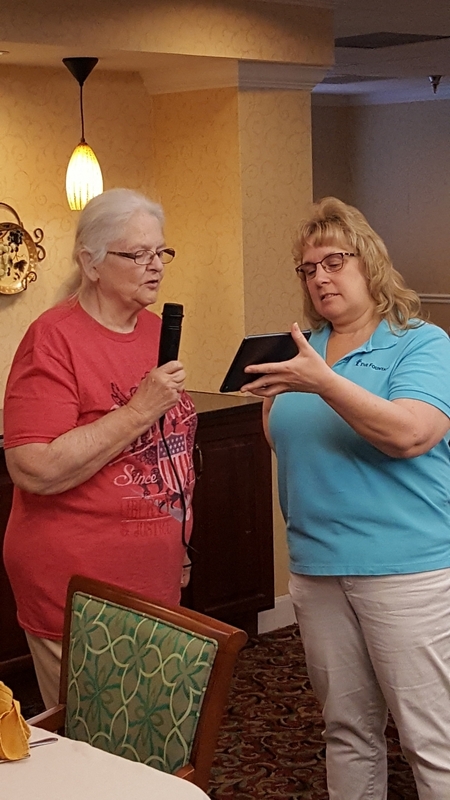 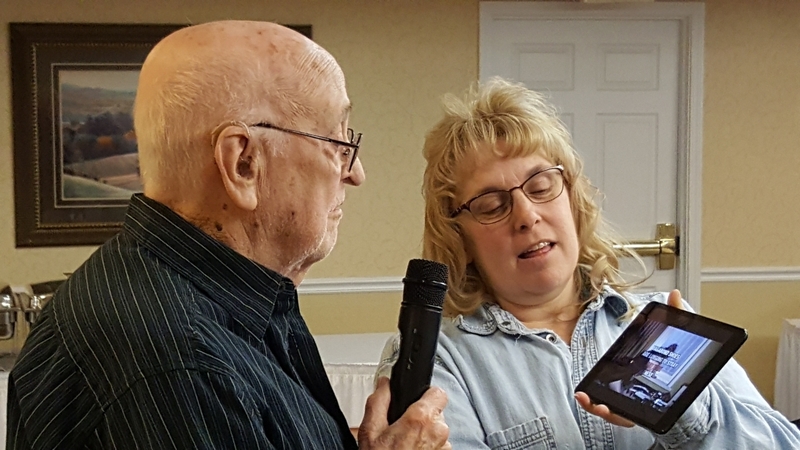 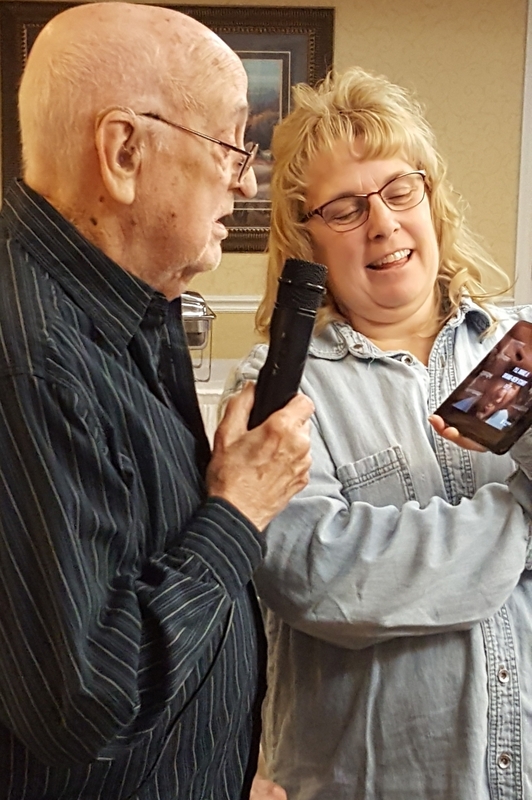 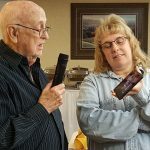 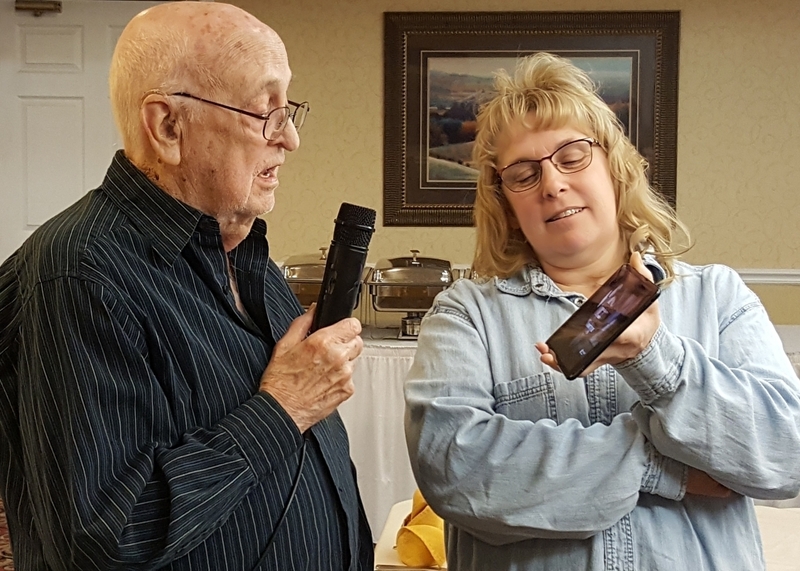 Many of our residents were excited to learn how to use this interactive musical opportunity which put them out as lead vocalists. 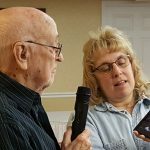 They were bubbling over with a bated audience to perform some of their favorite songs from hit artist such as Frank Sinatra, Doris Day, Tina Turner, Dean Martin, Louis Armstrong, Tony Bennett, and much more. 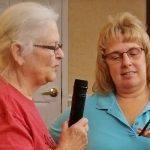 This opportunity rekindled some vocal talents that hadn’t been brushed off in a while and also discovered a few new talents that we had yet to discover as well as some fun-loving novices too! 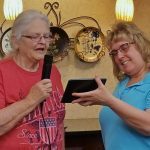 All in all the residents really responded to the opportunity to express themselves creatively with singing Karaoke.